Wake your heating system from hibernation. No homeowner wants to wake up seeing their own breath because the furnace broke down in the middle of the night. Schedule a furnace check-up now with a heating system professional to ensure everything is running properly and that your system meets the manufacturer’s rated efficiency. 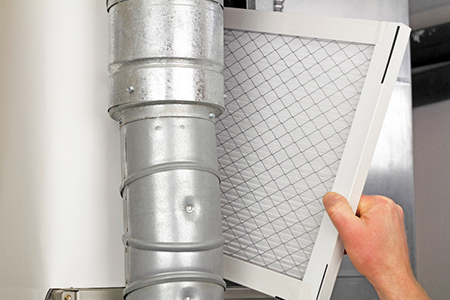 One of the biggest causes of wasted energy is restricted air flow to the heating system, so have a contractor check that the filters and coils are allowing for enough air flow. Getting ahead of this issue will help you avoid appointment delays during the busy winter season and give you peace of mind. Give your gutters a fresh start. Leaves, twigs and other debris can easily clog gutters, which can lead to ice dams. Ice dams cause melting water to back up and flow into the house, resulting in a very expensive repair. Save yourself the money and trouble by thoroughly cleaning out your gutters after the leaves have fallen. Make sure to tighten gutter hangers and downspout brackets, and replace any worn sections before it’s too late. Check that downspouts extend at least five feet away from the foundation. If they don’t, buy an inexpensive extension. Walk around the inside and outside of your home and check it for air tightness, carefully looking for any signs of cracks where air could leak out, as this can be a significant source of energy loss. An inexpensive tube of caulk can help seal the leaks and also help prevent moisture from getting inside the walls of your home. Caulk and seal air leaks where plumbing, ducting or electrical wiring comes through walls or floors. Get smart—a smart thermostat, that is. The Wi-Fi rage is real, especially when it comes to your thermostat. If you still have a manual thermostat or even a programmable one, consider upgrading to a smart thermostat. Today’s models can learn your living patterns, heat only rooms that are occupied, turn up the heat as you near your home, allow you to make adjustments remotely from your phone, and much more. According to the U.S. Department of Energy, you can save as much as 10 percent a year in energy usage (and on your utility bills) by making smart adjustments to your thermostat. Inspect all doors that open to the outside or to the attic and be sure that they close tightly. An easy way to check for air leaks: place a piece of tissue in a clothespin, hold it at various points along the doorway and watch for any movement near the edge of the door and the frame. If you have a leak, take a photo of your door and door jamb, and ask an employee at your local hardware store for help finding the right weatherstripping or door sweeps. Air leaks cause your heating system to work harder, which costs you more money on your utility bills—and can shorten the lifespan of your system. For more information, please visit www.ahs.com/home-matters.